Developing and rolling out infrastructure to support electric and zero-emissions vehicles is relatively short timeframe in order to coincide with Quebec’s mandatory quotas for sales of plug-in electric vehicles could be a daunting task. Quebec is scheduled to begin those mandatory quotas with a 3.5 per cent minimum for model year 2018 and increasing that percentages over the following years. 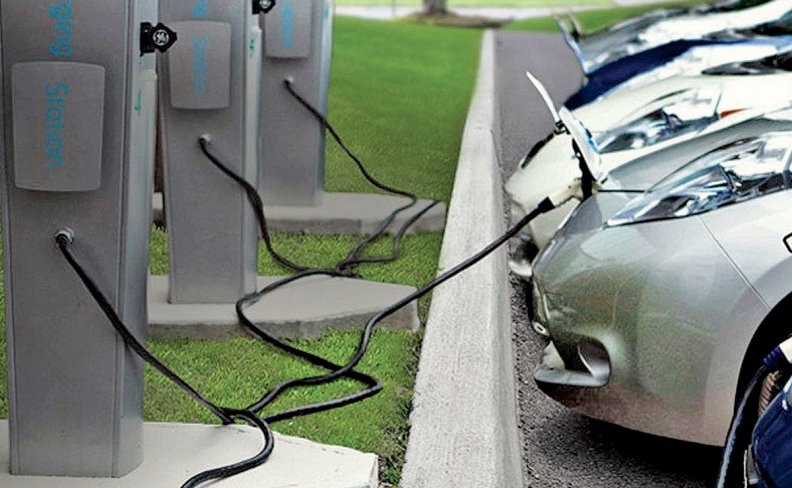 More EVs and zero-emissions vehicles will require more charging stations. So, a network of chargers and at least some hydrogen fuelling stations would need to be rolled out throughout Quebec — and perhaps the nation if a federal ZEV policy is also implemented — by 2020, when ZEVs would have to account for 15.5 per cent of sales in Quebec alone, to make electric vehicles more attractive to potential buyers. Toyota Canada Vice-President Stephen Beatty said it is citicial for Toyota and other automakers to make sure early buyers of EVs are supported through infrastructure. By doing so, EVs could be more attractive to other buyers as word of mouth spreads, and they would become more practical as the infrastructure expands. Toyota Motor Crop., the federal government and province of Quebec have been cozying up to each other as the sides sort out how exactly the province’s zero-emissions-vehicle (ZEV) mandate will work. Toyota Canada and Transition Energetique Quebec said in September that they would work together to study building a province-wide hydrogen-fuel-cell infrastructure. The announcement came just days after Toyota Chairman Takeshi Uchiyamada met with Navdeep Bains, Canada’s minister of innovation, science and economic development, in Quebec City to discuss the same issue. Toyota’s collaborative approach with the governments is part of a larger strategy to get ahead of the curve on electrification as Quebec rolls out its ZEV mandate and other provinces potentially follow, Beatty said. Collaborations with governments will be important to that effort, particularly when it comes to building a hydrogen infrastructure, Beatty said. Toyota is betting big on its fuel-cell technology in vehicles such as the Mirai, which can be refuelled in as little as three minutes. Beatty said the issue of electrification has forced Toyota to rethink the way it sells cars, and its relationships with competitors. Toyota, for instance, is in a coalition with Hyundai and Honda to enlist the services of Fasken Martineau, a Canadian business that provides strategic advice in government relations, to lobby the government to invest in its EV infrastructure.